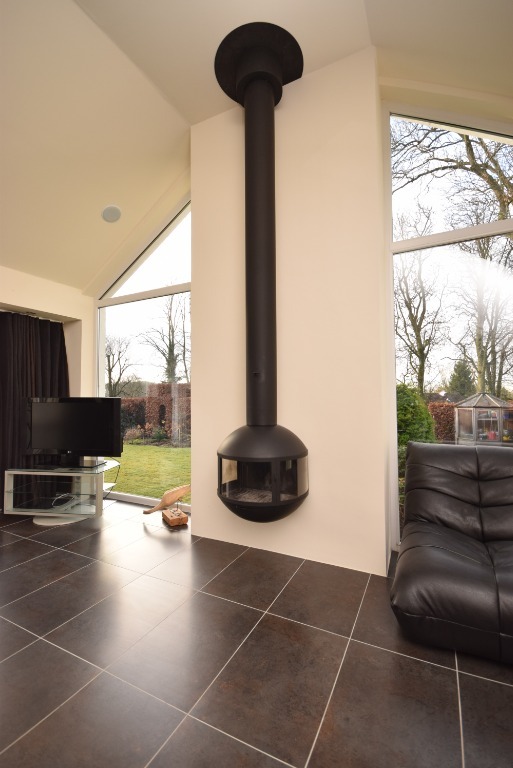 HD Video Available. 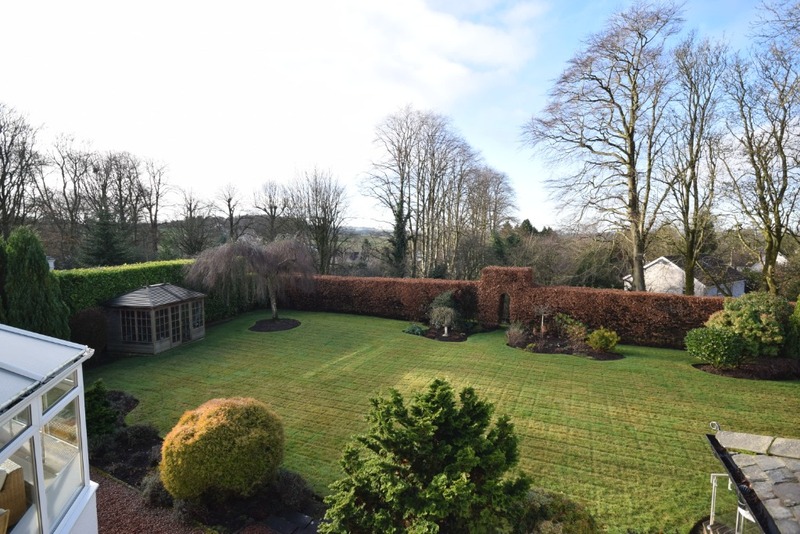 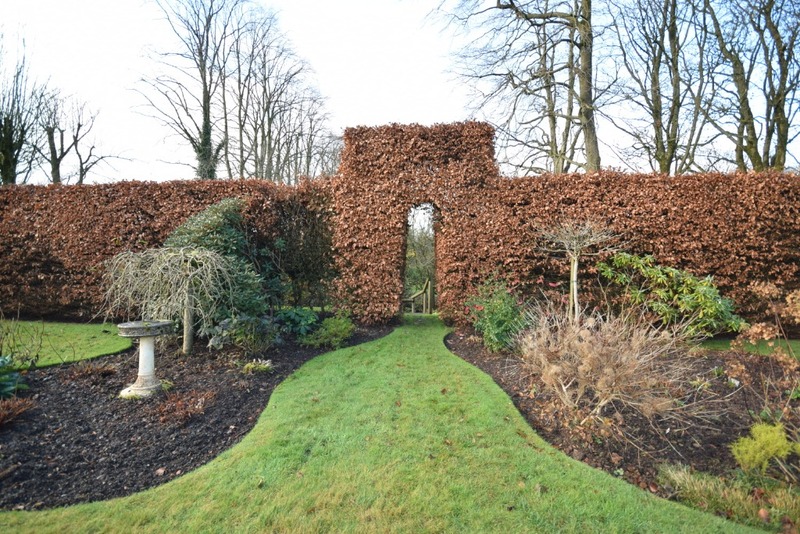 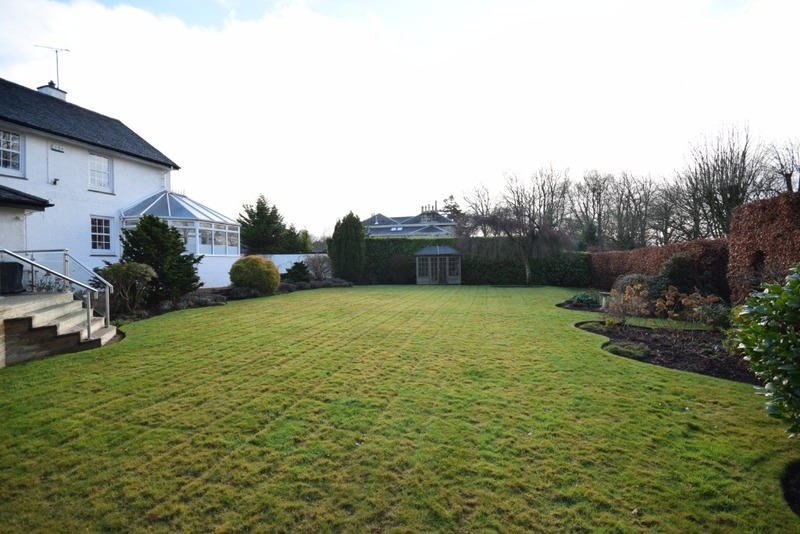 Set on one of Thorntonhall's most admired addresses, this beautiful traditional detached home has been painstakingly upgraded, and remodelled to provide living accommodation which has been designed to make the most of the views over the stunning private gardens. 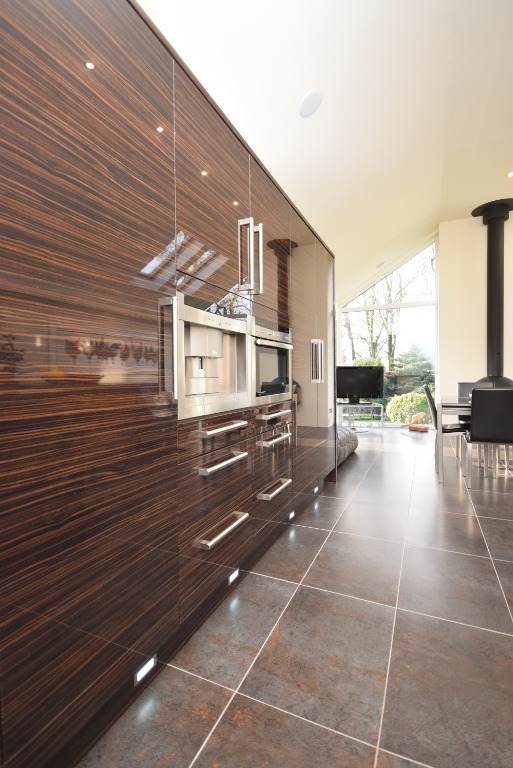 The attention to detail in the fixtures and finishes is breathtaking, with the home now offering a 'turn-key' move for any potential purchaser. 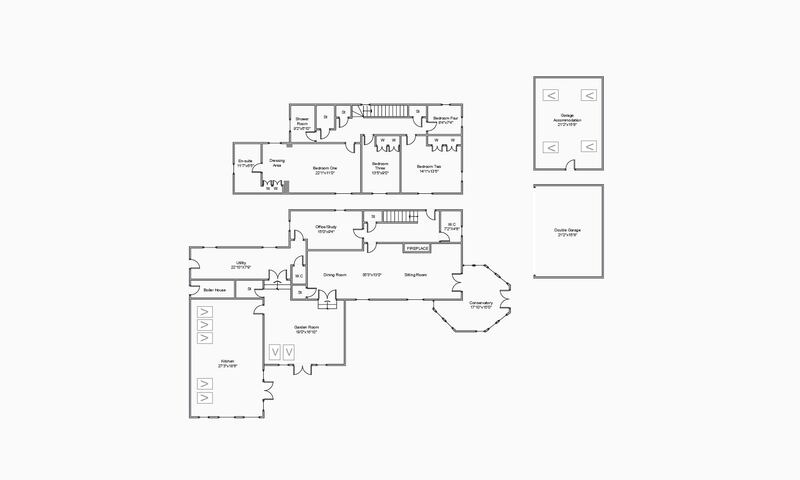 On the ground floor, the accommodation comprises; reception hall with storage off, staircase leading to the upper level and cloakroom (w.c – whb). 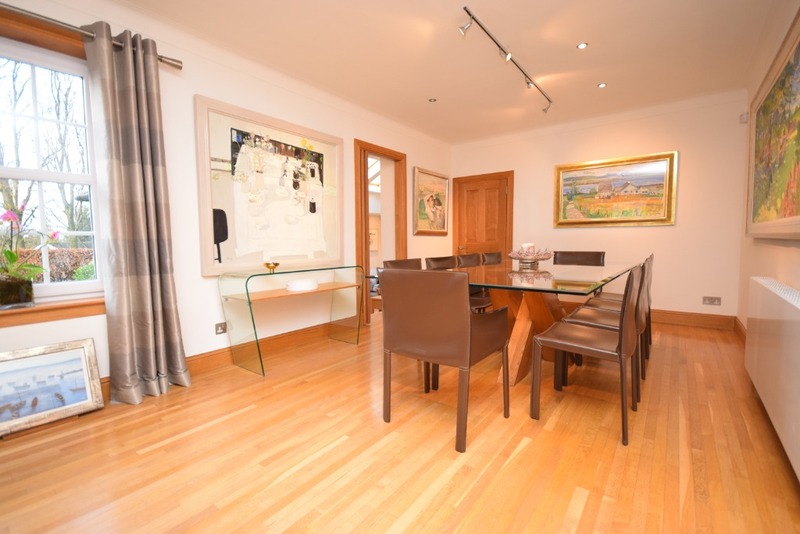 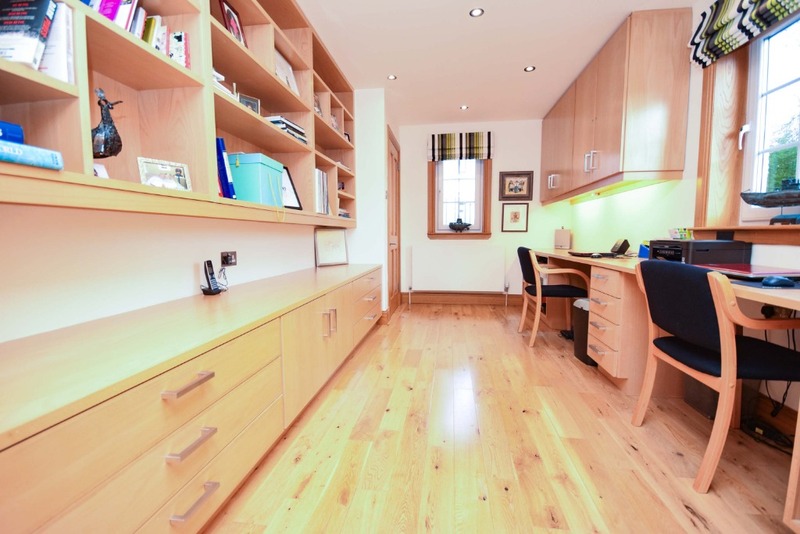 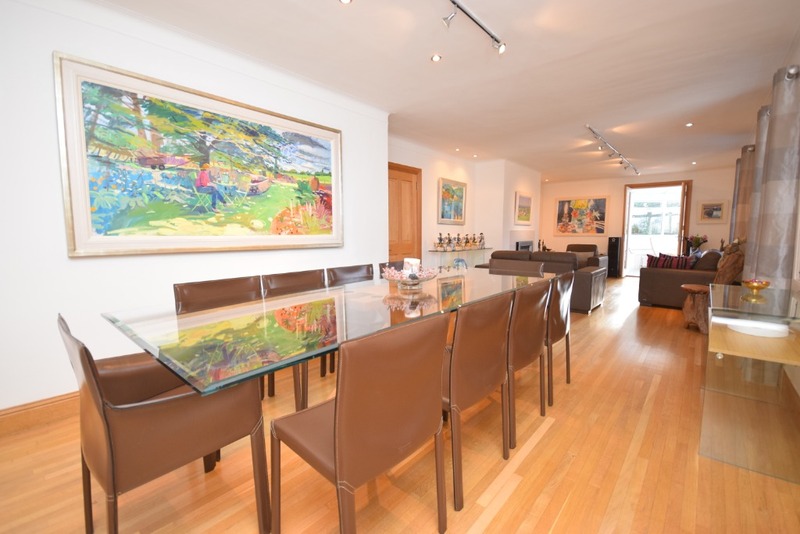 There is also access to a large home office which has an array of bespoke furniture. 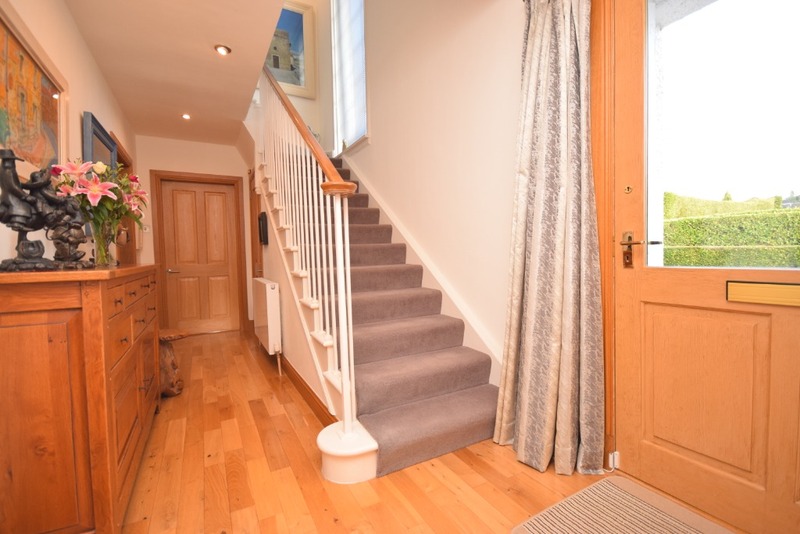 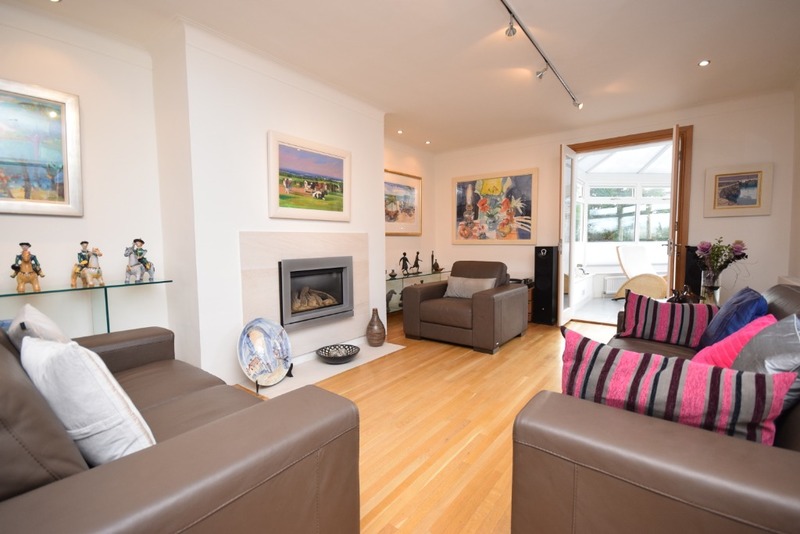 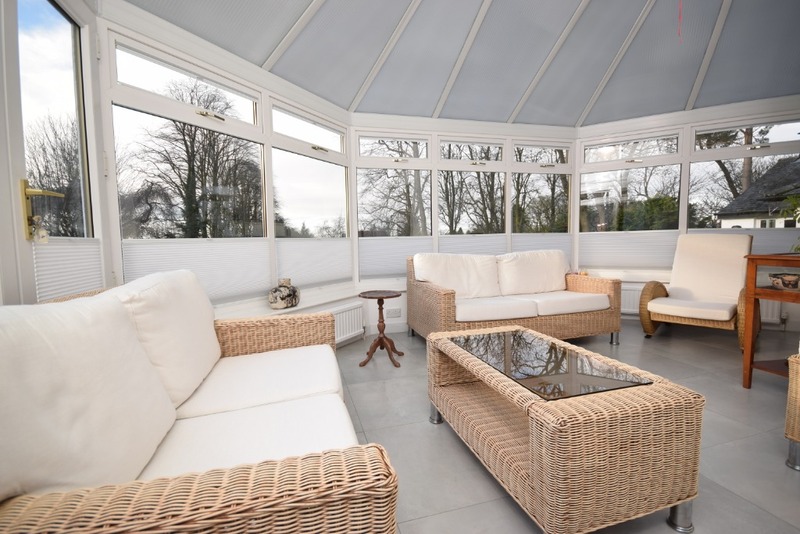 To the rear, is a stunning 35ft long sitting / dining room with feature fireplace, large storage cupboard and access to the conservatory, which is a lovely bright space with views over the gardens with French doors to the patio. 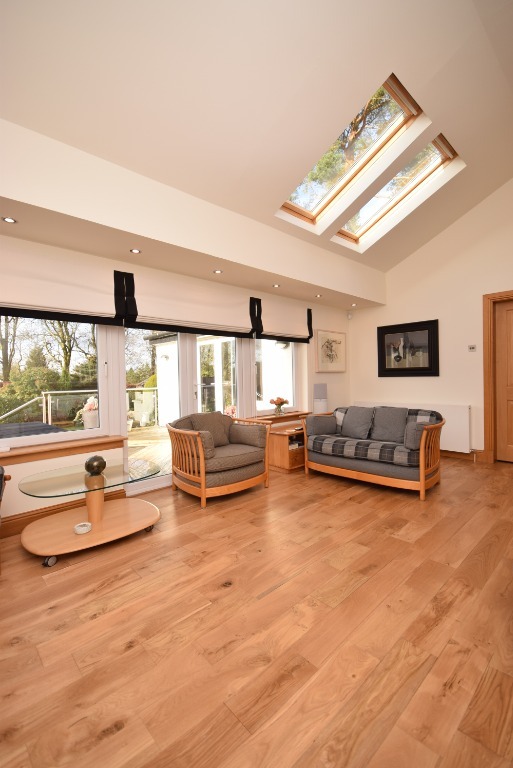 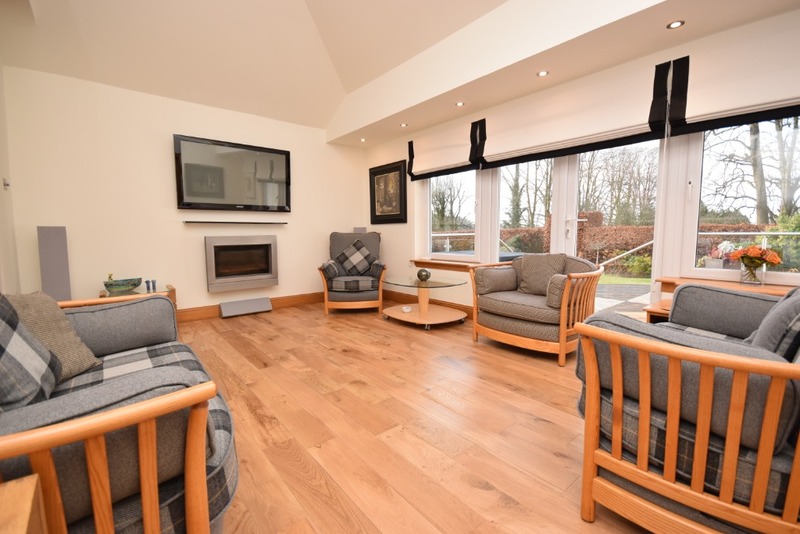 The garden room is a delight with vaulted ceiling incorporating Velux windows and large French doors ensuring the room is filled with natural light and also provides access to the decking. 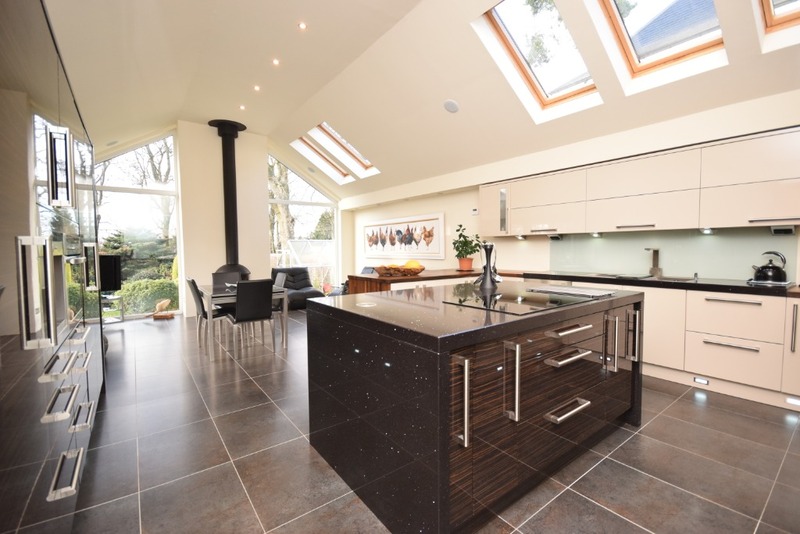 Without doubt, the biggest feature of this home is the kitchen extension which is contemporary from top to bottom. 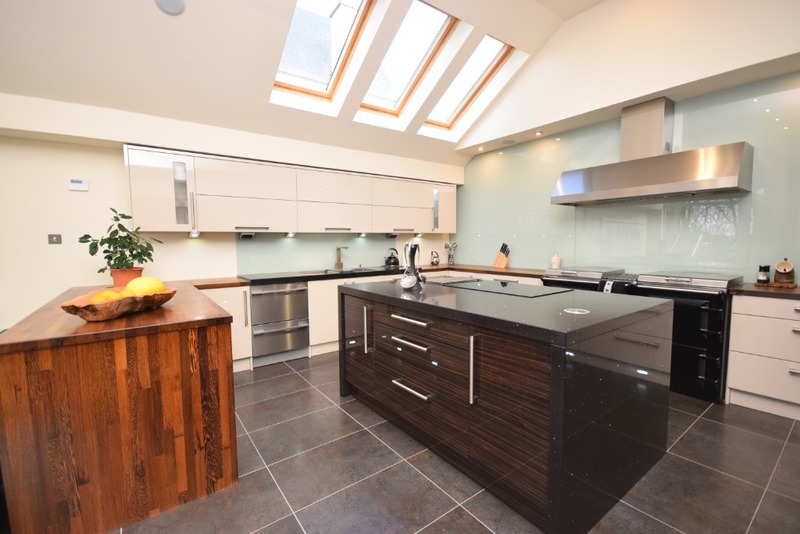 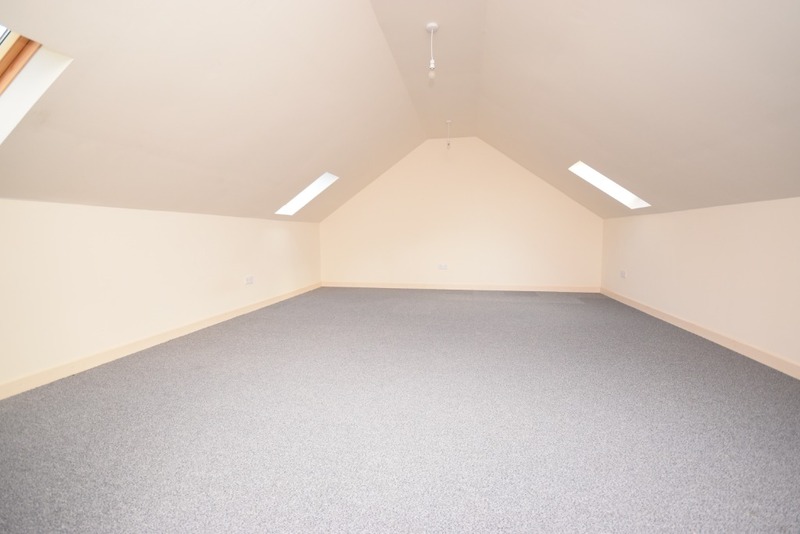 It also boasts a high vaulted ceiling with amazing full height feature windows to the rear and an array of Velux windows. 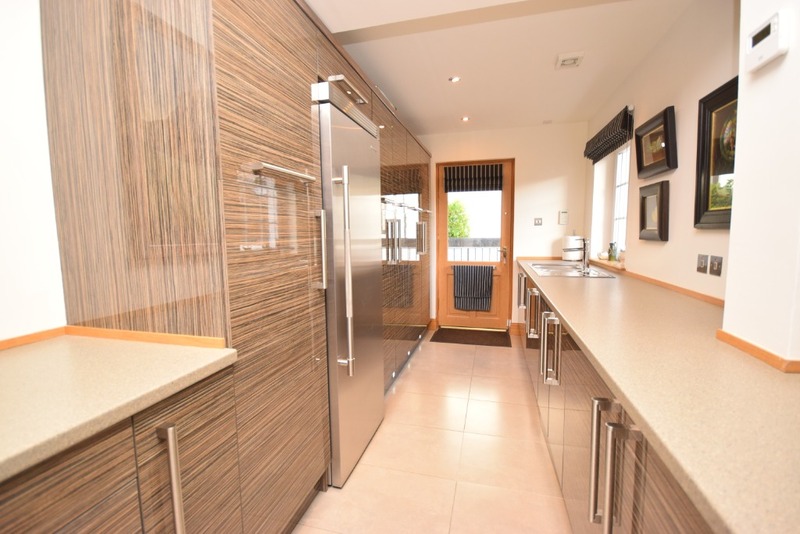 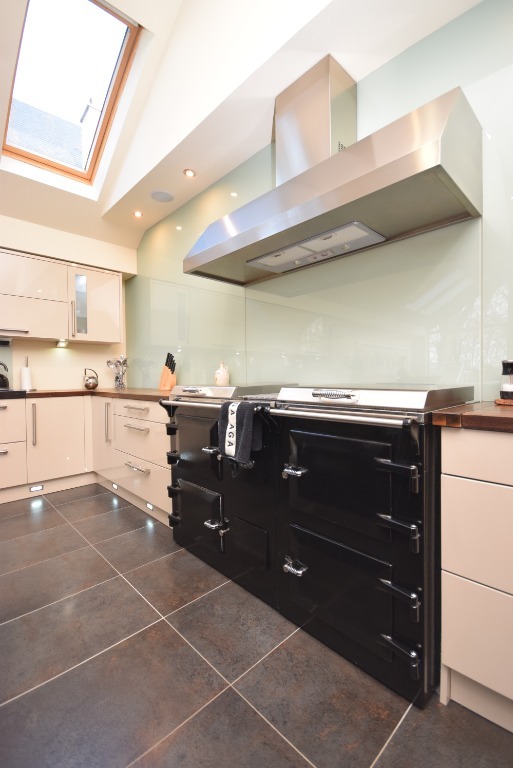 There is broad range of floor and wall mounted units which are complemented by solid wood and thick granite worktops along with a large range cooker, inbuilt Neff appliances (induction hob, oven, coffee maker), Fisher & Paykel double drawer dishwasher and under floor heating. 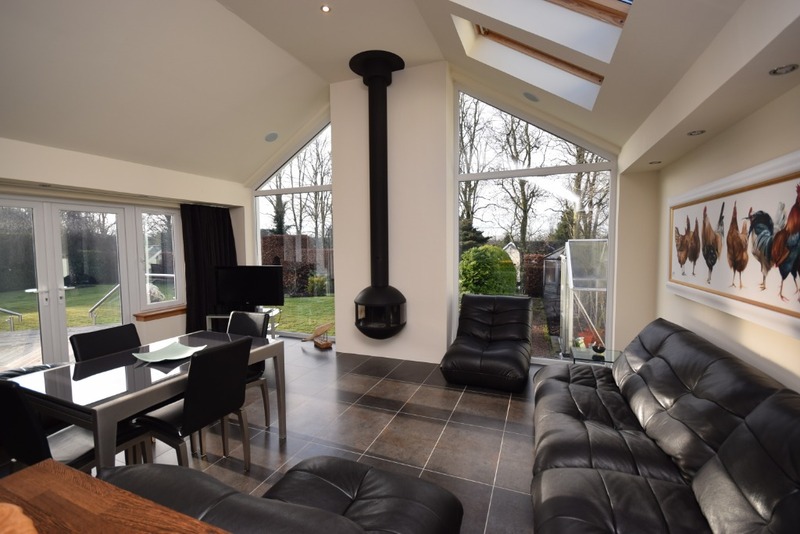 Over 27ft in length, there is a great amount of space for both dining and sitting, with the sitting area enjoying views over the garden, French doors to the area of decking and a feature wood-burning stove. 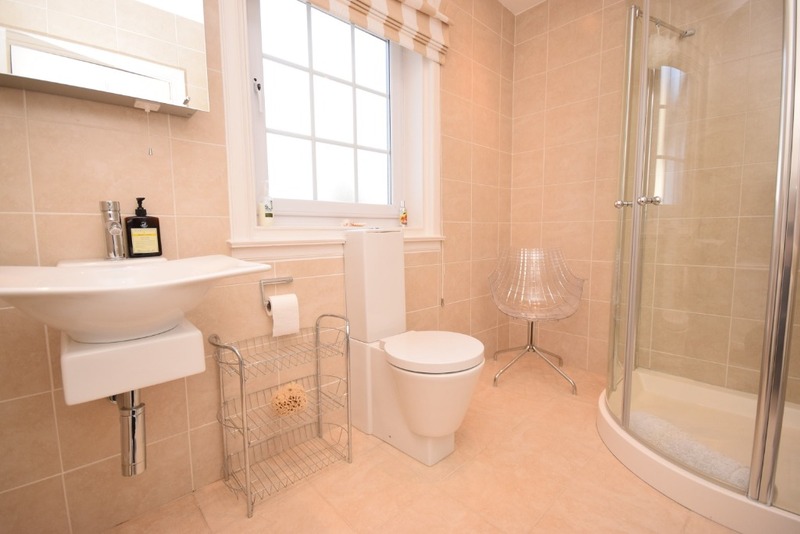 There is also a large 22ft long utility room with modern W.C off and door access to the side garden. 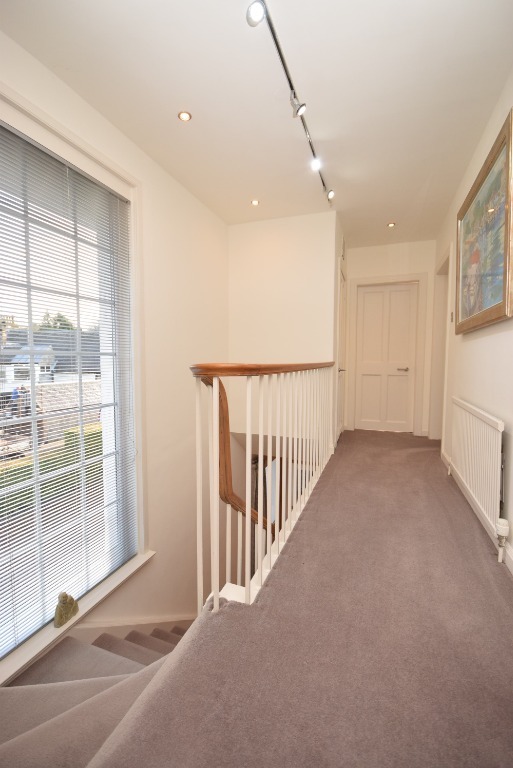 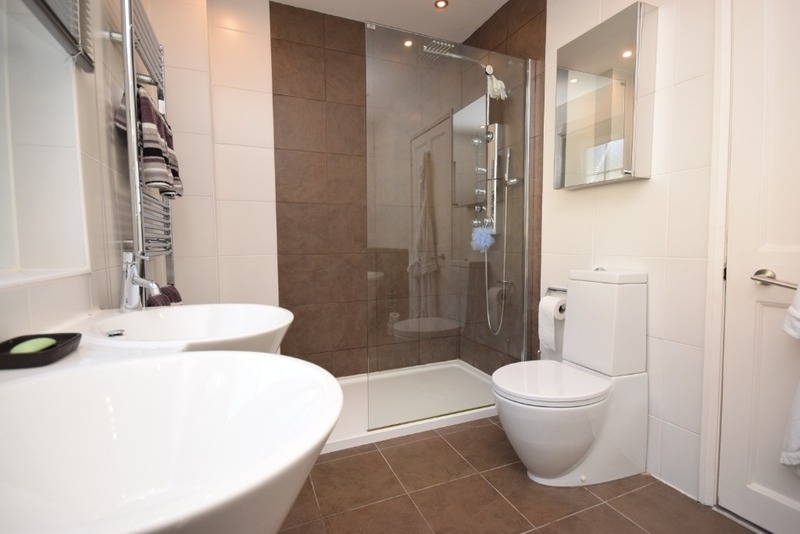 The upper level hosts a broad landing with three large storage cupboards, four nicely proportioned bedrooms and a stunning main shower room with contemporary white suite, large corner shower enclosure and full tiling. 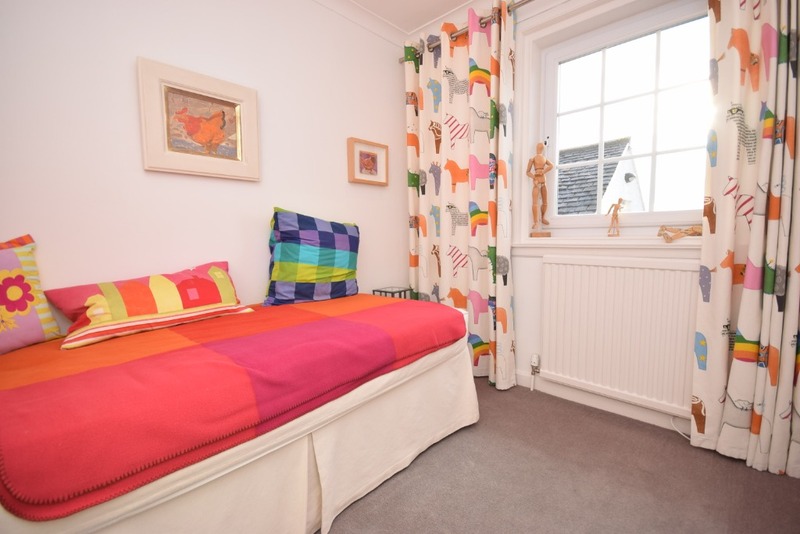 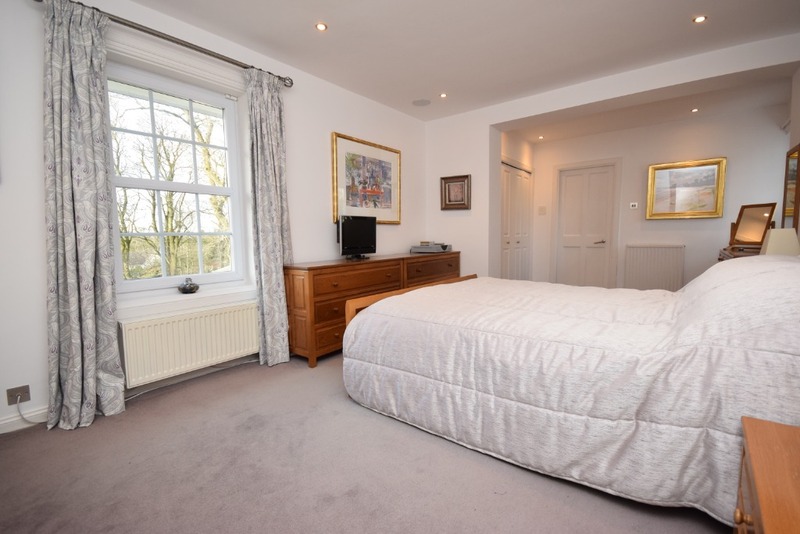 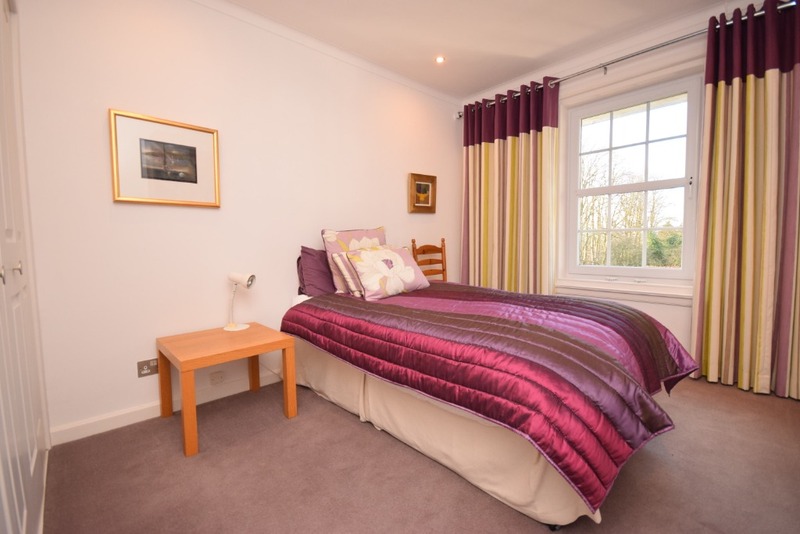 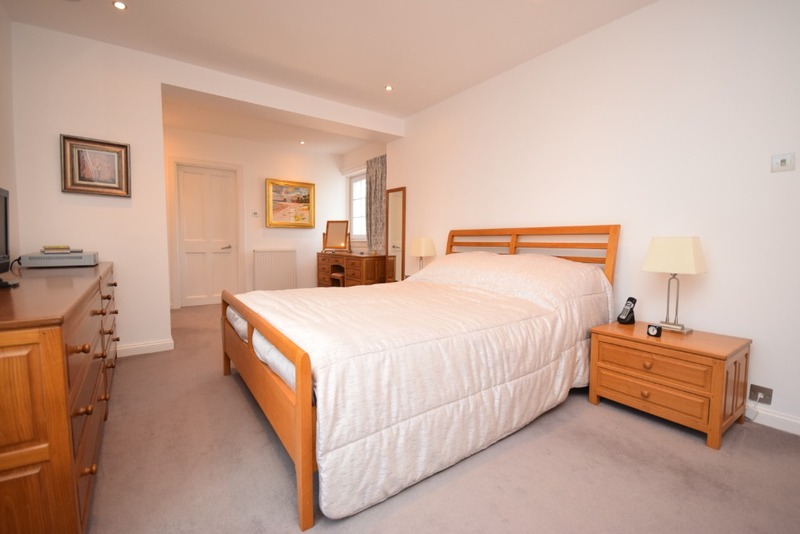 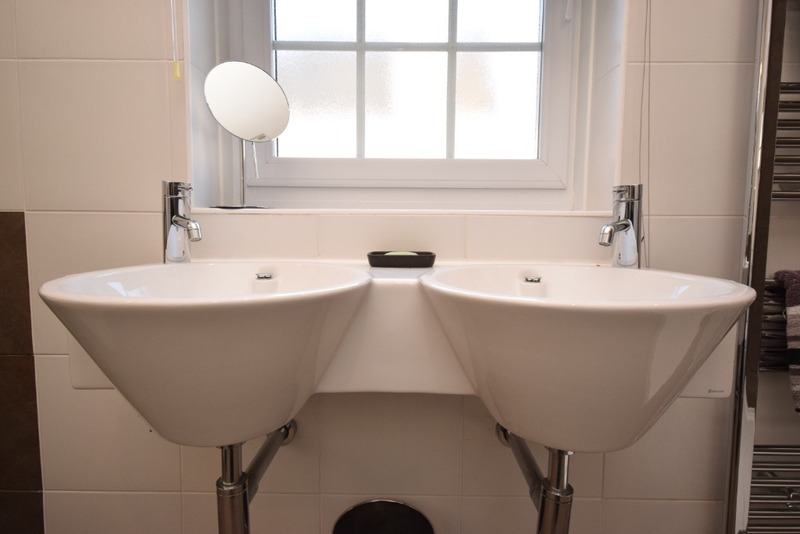 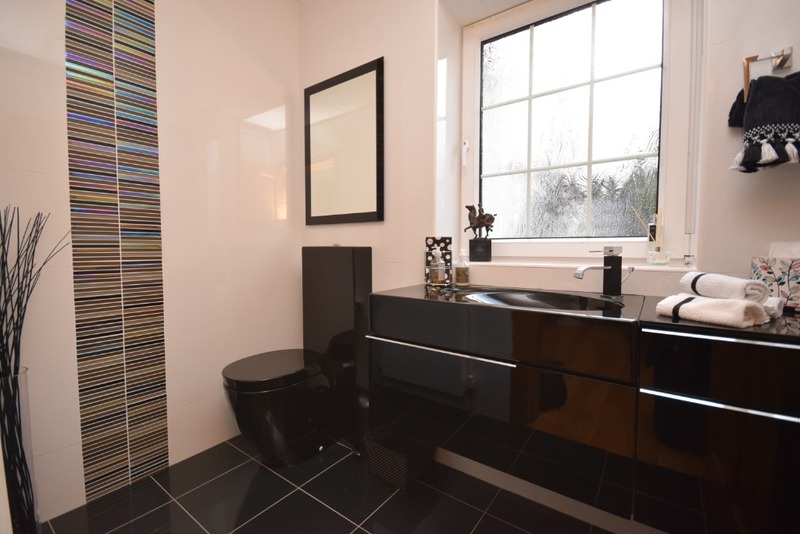 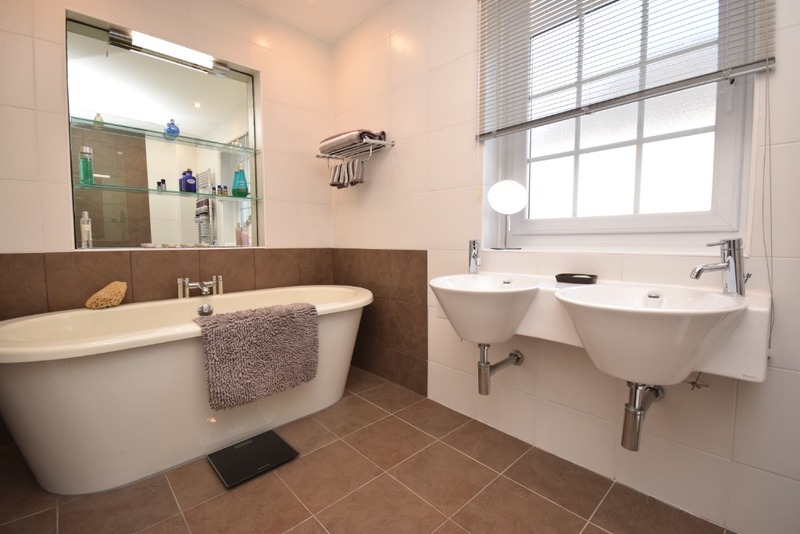 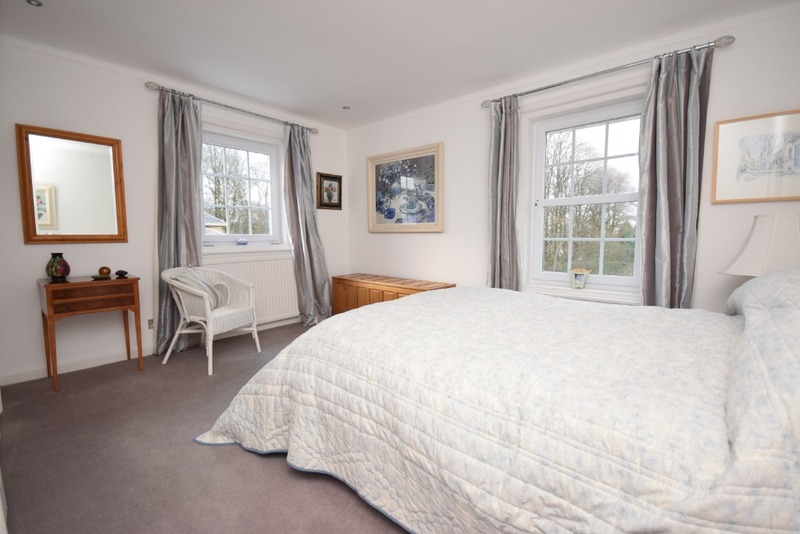 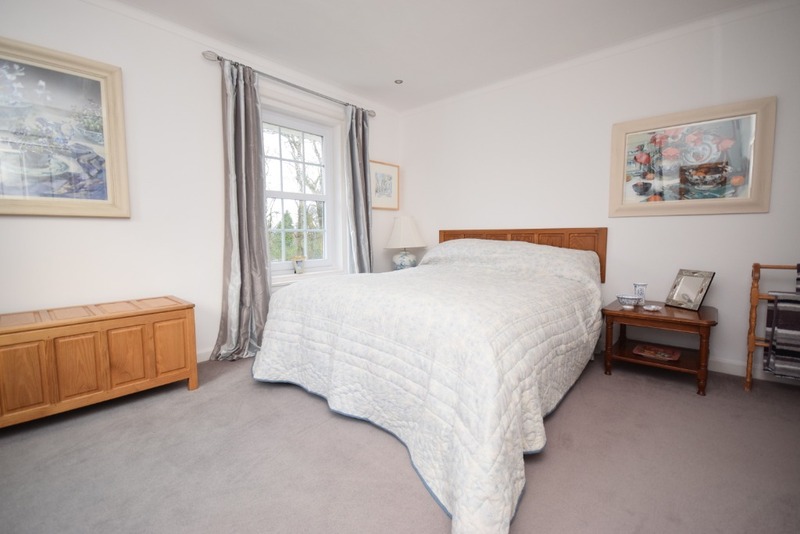 The master bedroom has a dressing area with inbuilt wardrobes and a beautifully finished en-suite bathroom with stand alone bath, 'his & hers' wash-hand basins, and large walk-in shower enclosure, all finished with full modern tiling. 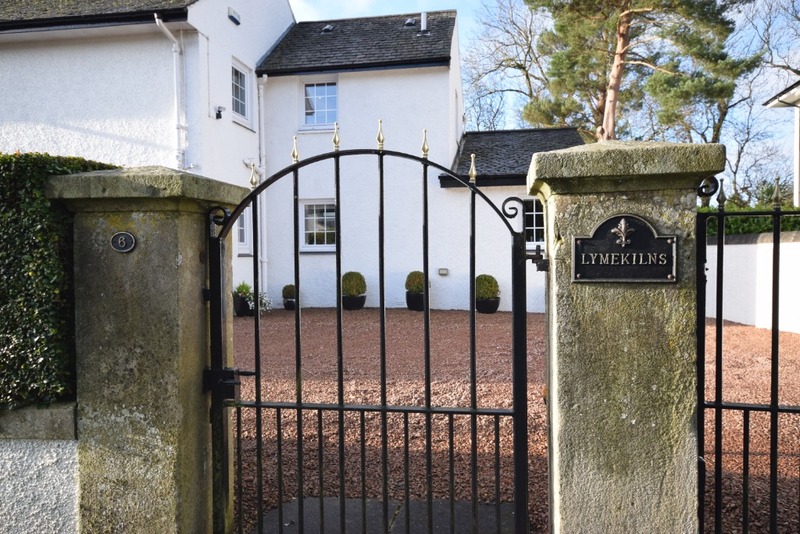 Thorntonhall is a village in South Lanarkshire, Scotland, just South East of Glasgow. 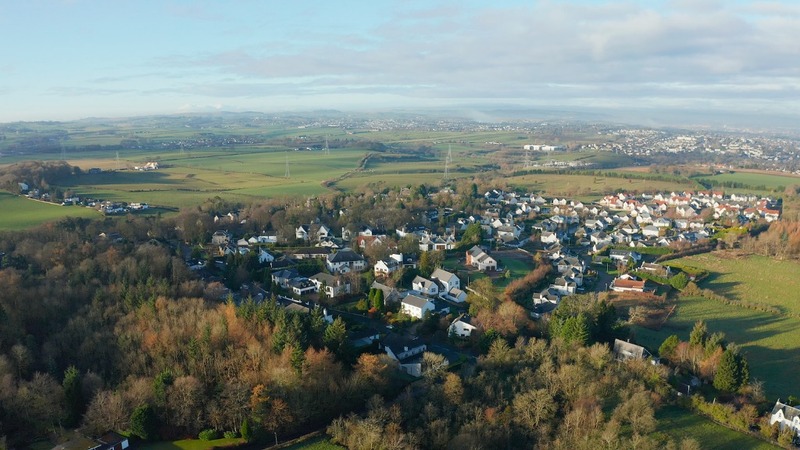 The village has a population of about 3,000, It is served by its own railway station and has good transport links to M77. 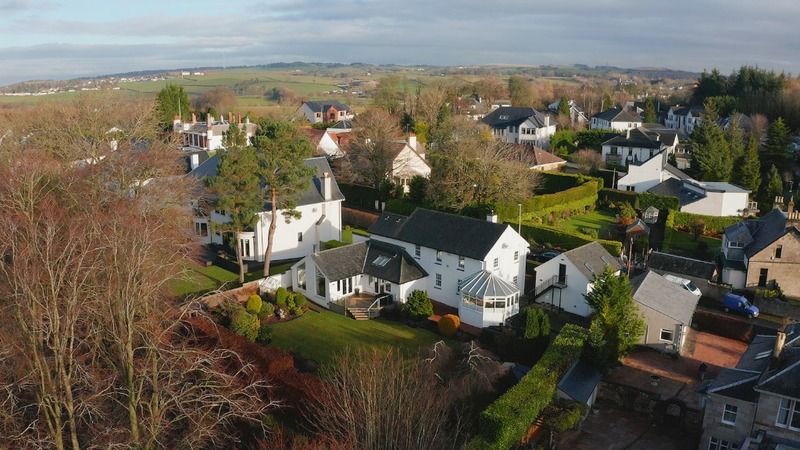 Thorntonhall is home to beautiful range of exclusive properties as the proportion of millionaires in Thorntonhall is the highest of any town or village in Scotland. 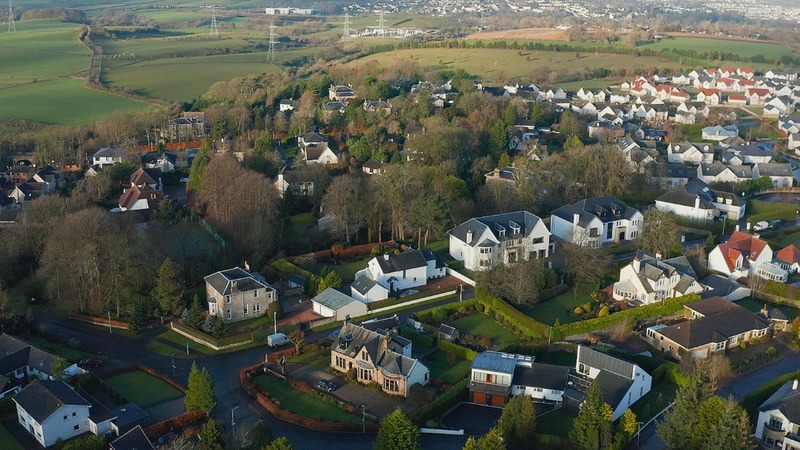 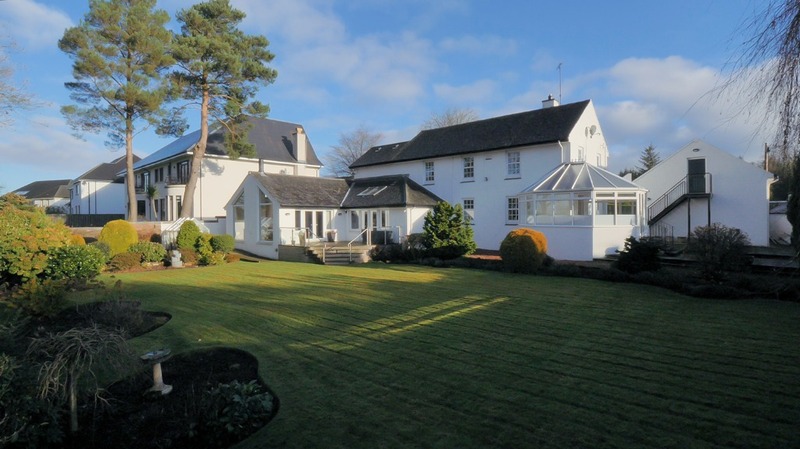 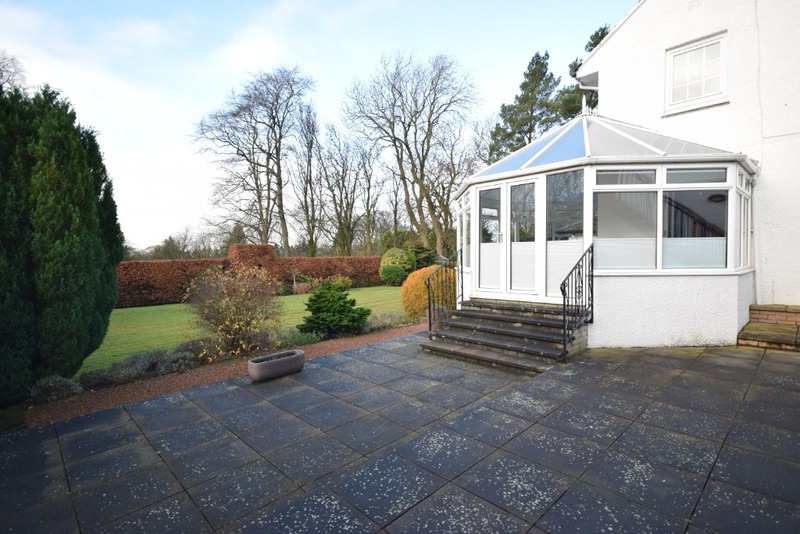 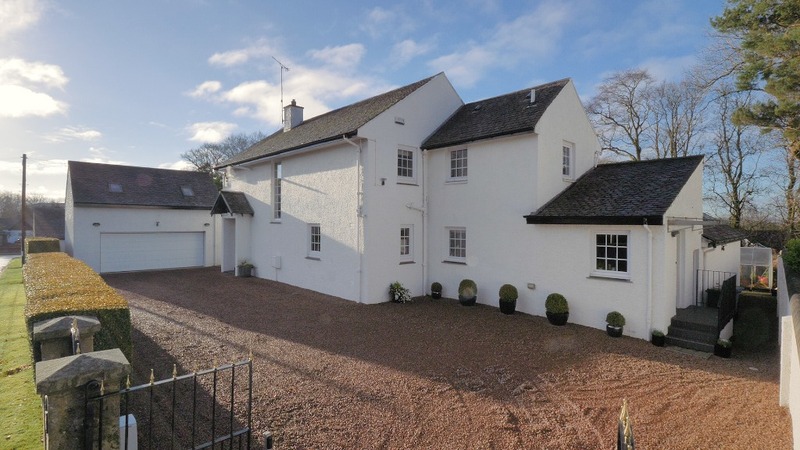 In 2011, a street in Thorntonhall (Bowmore Crescent) was identified as having the most expensive average house prices within the Scottish property market, with an average house price of £908,000.